Friday April 29 my publisher announced they were going out of business and soon, yes very soon, all of the books they published would be out of print. The announcement (as you can imagine) caused mass panic in the BookTrope community and some mighty ugly laundry was dragged from the hamper and aired publicly. From a currently out of print book, Fireflies by Rabindranath Tagore. Me, well I just got drunk. Finding, interviewing and accepting an editor, cover designer, proofreader, and book manager for your team. Signing contracts for both book rights and insurance that your team will receive a share of your royalties for their hard work. Creating a social media presence by blogging, tweeting, pinning and on and on infinitum. Sign on with projects they think might have a chance of bringing in some revenue. A tricky proposition as Laurel Busch points out in this essay, just because a book is well-written doesn’t mean it’s going to sell. Pray that the author creates a King Kong social media presence, the book hits NY Times best seller list and author signs a million dollar movie deal. It was a Utopian dream which ended up, as many Utopian dreams, hurting many people. But they were lovely people who gave freely of their talents and their knowledge. Because of them I know so much more about publishing than I did before. Because of them I’ve come to know so many supportive and fascinating bloggers who are themselves self-published. PS – you know who you are and eternal thanks for giving me hope! This entry was posted in Posts and tagged Booktrope, Laurel Busch, publishing. Bookmark the permalink. Oh my, that is sad. I wish you all the best in moving forward and I certainly hope you make it back. I’ve enjoyed your posts for a good long time now. I’m subscribed to you via email, so if you post again, it will land in my inbox and I’ll come runnning…well, you know. Thank you Dan, that’s very sweet of you. Good luck Jan. I hope you are able to resolve your publishing woes with a minimum of ‘pain’. I’ll miss your blogging voice. But after you rest up then get up and figure this out. Your books are worth republishing. 🙂 Looking forward to what comes next for you. Thank you Jenn. I’m sure I’ll be back again – I’ll miss my blogging buddies too much to stay away too long. Hope the road ahead is a smooth one for you as well. Looking forward to reading that third book! I am so very sorry to hear this. You are not the first to tell me they have problems with this very same publisher. We put our hearts into writing, and, in honesty, the chances of any real rewards, are slim. I hope you will not be absent too long. Thanks Glyn! Well, it was fun while it lasted! Friday April 29. Another kind of Black Friday Jan. Talk about a kick in the stomach. But the girl who came through Willful Avoidance and learned to smile again can come through this with flying colors. I know you’ll do it. Well, the irony is too heavy. Almost simultaneous to receiving your email, I got this one from Amazon. On behalf of Amazon CEO Jeff Bezos, I am writing to you with the following proposal. By the by, I am Mr. Bezos’ Executive Secretary and part-time virtual drone pilot. In the wake of the sinking of the USS Booktrope, here is what Mr. Bezos is offering: 1) He proposes to buy 1,000 copies of your book, ‘Living and Dying with Dogs’, volume discounted from $12.99 to $3.99 per unit or $3,999 in total. He wants to include the book in employee termination packets. 2) Mr. Bezo’s would like to get you into the Amazon Self-Publishing Hoop of Fire. Since you already have a book in print, the reduced price would be a flat $2,500 for all services. 3) He is also offering you the opportunity to be one of the first to purchase the “Trump 3,000”. This is a metal prostrate replacement artifact. Although, I don’t know if you need the device, you might look upon this as a pre-emptive strike against future medical needs. The artifact is made of gold plate and comes with trailing fish hooks for sexual stimulation and miniature railroad tracks which allow for easier insertion. The price for Premium customers like yourself is $4,000 and comes with two day free shipping. This would leave a net bill to you of $2,499. What a deal! You’d probably be better off with the avocado seeds. . .
All the best! And thanks for the adventure! Thank you as well. Hopefully this isn’t the end of the adventure – just another road. Jan I’m so sorry to hear this! I know this will sort itself out over time and you will be back! I have had many changes of late and have missed the blogging community so I’m hoping to begin spending more time here again. Hopefully they’ve been positive changes! Thank you for your support. I’m sure you’ll get everything sorted out. Best of luck to you and let me know if there is anything I can do to help in some way. What an awful thing to happen. I know you’ll be up to your eyes in work and getting your head around all sorts of stuff so if I can be of any help, Jan, email me or message me on Facebook or Twitter. I’m not the best with the technical side of things, so you probably know more than I do in that respect but feel free to pick my brains and if there’s something useful in there I’ll be delighted you found it. What a wonderful offer! Thank you. Good luck & many thanks for this life lesson! You’re right. I can’t imagine being able to stay away for long! ‘o) That’s the spirit, Jan.
What a mess! Thank goodness you have a supportive network that will work together to help sort this out. As I told Jenn–feel the feelings of grief and betrayal. Trust that time will sort this whole thing out. And keep writing! I enjoy your blog so much! I’m with you in the lifeboat, Jan. But our books will survive and we will too. I’ll miss your blog posts as you figure stuff out, but if I can help you in any way, just drop a line. You know where to find me! Thanks Sloanie! 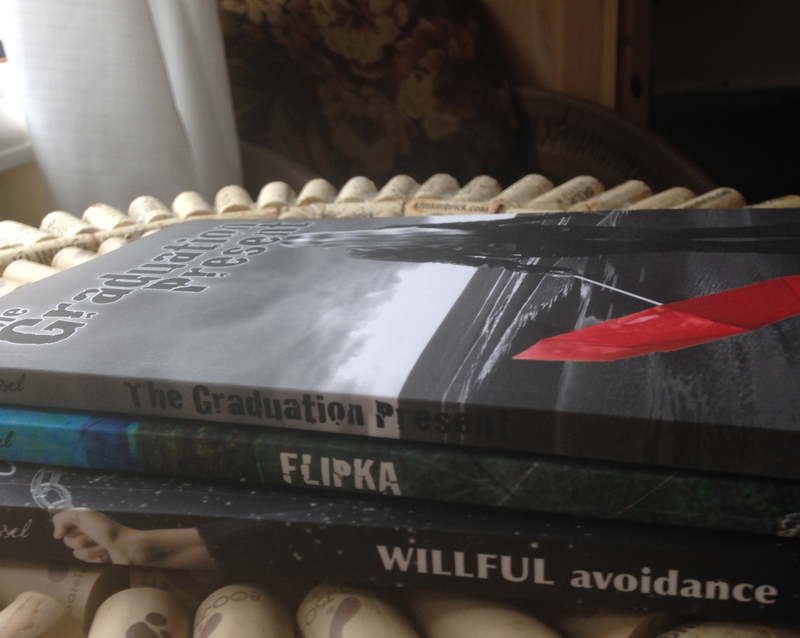 The more I learn about self-publishing the less intimidated I feel! My, you’ve been swimming rough waters. Don’t worry about other blogs. We’re here for you no matter what. Thanks Diana!! Life goes on, as they say! Oh this is such a shame. I am wishing you all the best in your next book journey.